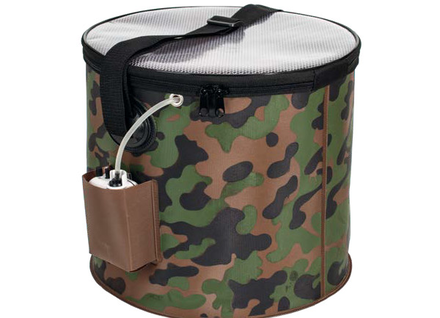 The EVA-Baitfish Holder from Behr is perfect for keeping your baitfish! This stable baitfish bucket is 100% waterproof, extremely stable and features a practical shoulder strap for easy transport to the water. On the side of the Baitfish Holder is a practical compartment for attaching an aerator (not included). The Behr EVA-Baitfish Holder is a must-have for every dead bait angler!